Last month, there was a spate of new arrests of leading Saudi preachers. This, however, was overshadowed by the news that Saudi prosecutors had asked for the death penalty for Isra’ al-Ghamgham, a human rights activists from Qatif. Al-Ghamgham and her husband Musa al-Hashim were arrested in December 2015 and have languished in prison ever since. After their first appearance before the Specialized Criminal Court (SCC) in the Saudi capital Riyadh on August 6, the public prosecutor demanded the death penalty for al-Ghamgham and five others, including her husband. They are accused of organizing anti-government protests, incitement to disobedience of the ruler, and providing moral support to participants in anti-government protests in the Shi‘i-majority region of Qatif. Al-Ghamgham could face be-heading after a final court session on 28 October. In the absence of any codified law, Saudi judges are notorious for handing down harsh sentences, especially to people accused of social activism or demanding respect for human rights. 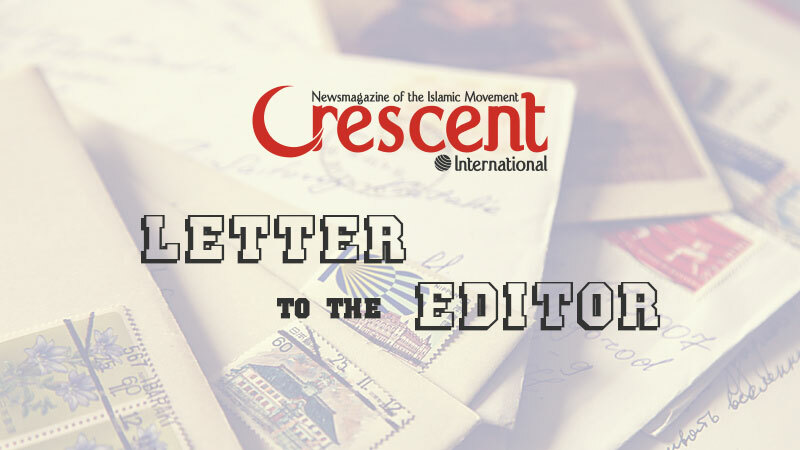 In January 2016, Shaykh Nimr al-Nimr was executed. He had asked for the same rights for the Shi‘i community as “enjoyed” by others in Saudi Arabia. This did not amount to much since Saudi citizens have few rights but even this was unacceptable to Saudi rulers. Now a female activist faces the same threat. Domestic female servants are routinely executed after their employers accuse them of wrongdoing. Confessions are extracted under torture or through the forced acknowledgement by signature of an Arabic document (confession) that the foreign maids do not understand. This is used as “evidence” of admission of guilt, leading to their public execution by sword wielding brutes. 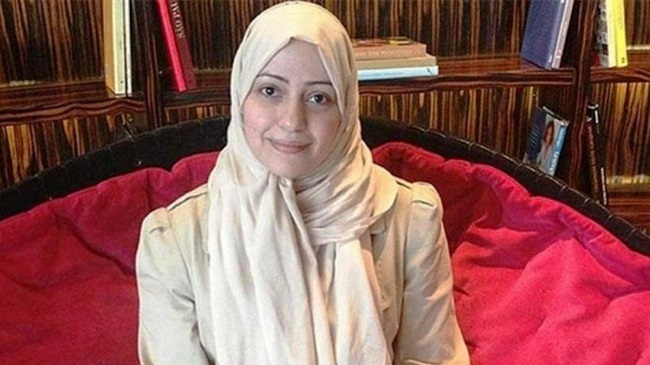 Al-Ghamgham’s execution would set a dangerous precedent since all the charges relate to her peaceful activism, according to Saudi human rights activists. She has never advocated violence. In the medieval kingdom, however, even peaceful protests are considered heresy. Saudi political prisoner and human rights activist, Isra’ al-Ghamgham is facing the very real and very grim prospect of death by beheading for participating in protests, “chanting slogans hostile to the regime” and filming protests for social media. She was arrested and thrown into a prison cell where she has languished for almost three years. During that time, the 29-year-old has been refused access to a lawyer. Al-Ghamgham is now the first woman to ever face the death penalty for taking part in a protest. Human Rights Watch said Saudi Arabia’s Specialised Criminal Court, which was set up in 2008 to try terrorism cases, had been increasingly used to prosecute peaceful dissidents and was notorious for its violations of fair trial standards. It also says al-Ghamgham’s charges do not resemble recognizable crimes. The activist had become well-known for taking part in political demonstrations in the Eastern Province and documenting them — namely filming and uploading videos on social media platforms, a practice she had been actively involved in since 2011. Her main concern was calling for an end to the notoriously sectarian establishment’s “systematic discrimination” against Shi‘is. According to Human Rights Watch, at least 13 women’s rights activists have been detained recently in Saudi Arabia. Those currently in jail include Samar Badawi. She was arrested early last month, not for the first time one must point out. She has family members in Canada. When the Canadian government called for respecting her rights and demanded her release, the Saudis went berserk cutting off diplomatic and trade relations. Other female activists in jail include Lujayn al-Hadhlul, ‘Azizah al-Yusuf, Iman al-Nafjan, Nuf ‘Abd al-‘Aziz, Maya al-Zahrani, Hatun al-Fassi, Nasimah al-Sadah, and Amal al-Harbi. According to the European Saudi Organisation for Human Rights (ESOHR), at least 58 people, most of them Shi‘i, are currently on death row. Of these 31 have had their verdicts confirmed by the high court. Unfortunately, the Saudi regime is not constrained by such statements. It has continued its campaign to arrest anyone that does not agree with the regime’s erratic policies. The aim is to crush all opposition, however mild, to enable Bin Salman to consolidate his power. On August 11, Shaykh Nasir al-‘Umar, a former professor at the Faculty of Fundamentals of Religion at the Riyadh-based Imam Muhammad ibn Saud Islamic University was arrested and his Twitter account suspended. No official reason for his arrest was given, according to reports from the Kingdom. 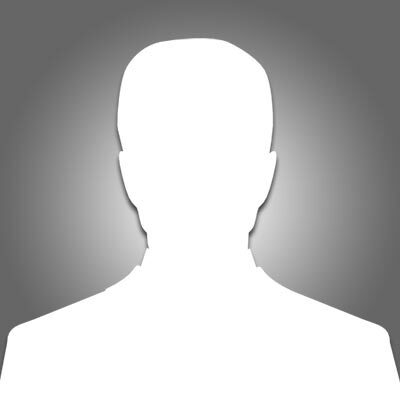 Three days later (August 14), reports emerged of a political dissident and Muslim preacher who reportedly died as a result of torture while in regime custody. The UK-based rights group, Prisoners of Consciousness, announced on its twitter account that Shaykh Sulayman al-Dawish died under severe torture. The independent non-governmental organization advocates respect for human rights in Saudi Arabia. Dr. Ahmad al-‘Amari, the former head of Madinah Qur’an Academy was also arrested because of his “close ties” to Shaykh Safar al-Hawali. The latter has been imprisoned since July 2017 because he criticized Bin Salman’s embrace of Zionist Israel. 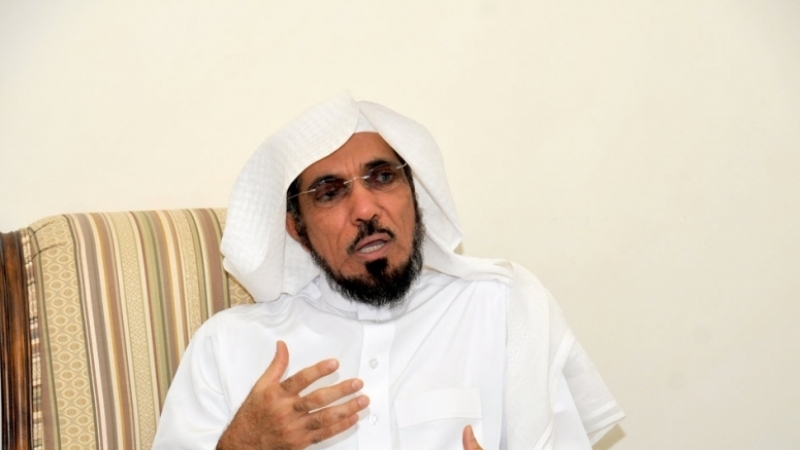 Other scholars arrested in recent weeks include Musa‘id al-Tayyar, Professor of Qur’anic Science and Interpretation at King Saud University and Shaykh ‘Abd al-‘Aziz al Fawzan. The latter dared to criticize Bin Salman’s policy of “liberalism” in an interview on al Majd TV. The Kingdom’s new “liberalism” policy does not include expressing disagreement with official policies, however polite or mild. On August 19, it was reported that Shaykh Salah bin Muhammad al-Talib, one of the Imams of al-Masjid al-Haram was arrested and his Twitter accounts closed. What was his crime? He had criticized the free mixing of men and women and said “commanding the ma‘ruf and deconstructing the munkar” was a Qur’anic obligation. This aroused Bin Salman’s wrath sending the Shaykh to prison. 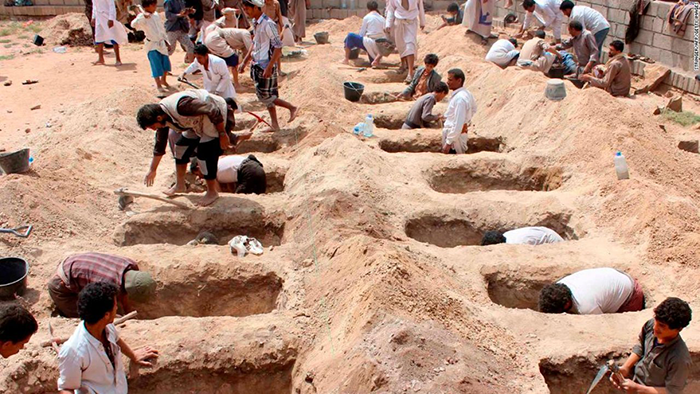 Yemenis mourn as they dig the graves of the children who were slaughtered in the school-bus massacre that resulted from a Saudi air strike with the “very nice weapons” supplied by the US. Prisoners often have no access to lawyers. Even if present, the lawyers can do little since judges are capricious and hand down sentences based on what the rulers want. In some instances, even lawyers have been imprisoned for defending human rights activists! Amid the wave of new arrests and secret trials, news has emerged that the academic Dr. Muhammad al-Hadif and journalist Salih al Hashihi have been sentenced to five years in jail. Two human rights activists, Muhammad al-‘Utaybi and ‘Abdullah al-‘Alawi have each been handed 21-year prison sentences. Can the fate of other detainees be much different? Bin Salman, the de facto ruler, is a one-man wrecking crew. Uneducated, crude, brash, and given to impulsive behavior, he has demolished the two pillars of state that had hitherto prevented collapse of the regime: compact with the religious establishment and consensus among the ruling princes. If previously the royal family ruled the medieval kingdom, now it has become a one-man dictatorship. 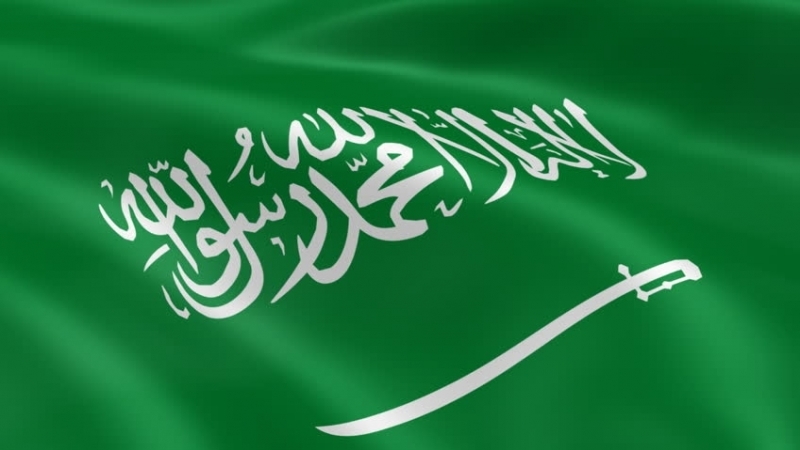 Not only have hundreds of religious scholars been arrested, there are believed to be 15,000 political prisoners in Saudi Arabia (other estimates put the number as high as 40,000). 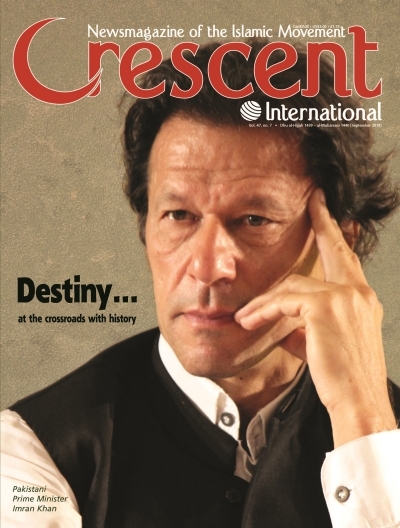 These include academics, writers, religious scholars, and human rights activists. The regime has also intensified public beheadings. These are clearly intended to terrorize the people into submission as life has become increasingly difficult for ordinary citizens. This is the direct result of the ill-conceived policies of Bin Salman. He is beholden to Abu Dhabi crown prince, Muhammad bin Zayed, and looks up to him as his guide and mentor. Jared Kushner, the Zionist son-in-law of Donald Trump is another of Bin Salman’s frequent contacts from whom he takes policy directions. The only reason Bin Salman is the crown prince is that he happens to be King Salman’s favorite son and is in charge of the king’s office. Since the king suffers from Alzheimers, Bin Salman is the de facto ruler and sole decision-maker. He has disrupted the inner consultative process among Saudi royals, thereby creating new enemies. This is why he needs facilitation from the outside (the US and Israel) to survive in power. As if this was not bad enough, he also had a large number of family members — mostly cousins — arrested and tortured to extort money. Major General ‘Ali al-Qah†ani, aide to Prince Turki bin ‘Abdullah (son of former King ‘Abdullah) was tortured to death. Turki’s older brother Mi‘tab who for a long time was head of the National Guard was forced to fork out $1 billion. He was threatened with execution unless he signed a pledge never to indulge in politics. On the external front, the Saudi conduct is equally atrocious. Throwing caution to the wind, Bin Salman has opened far too many fronts for himself. While the Syria fiasco preceded his power grab, others are his responsibility. His arrogant threats against Islamic Iran may come to haunt him even if he is able to instigate terrorists in such places as Sistan-Baluchistan, Ahvaz, and Kurdistan of Iran. The war on Yemen has resulted in the death of more than 13,000 civilians and millions of Yemenis injured or displaced from their homes. This is Bin Salman’s own policy. On August 9, a school bus in Yemen’s Sa‘ada province was attacked killing 29 children and injuring many others. In June 2017, he took on Qatar in an attempt to browbeat the smaller neighbor into submission. The Qataris showed unusual resolve and thanks to help from Islamic Iran and Turkey, they have been able to withstand Saudi pressure. Qatar also invited Turkey to open a military base thereby forestalling a planned Saudi-Emirati invasion of the tiny country. 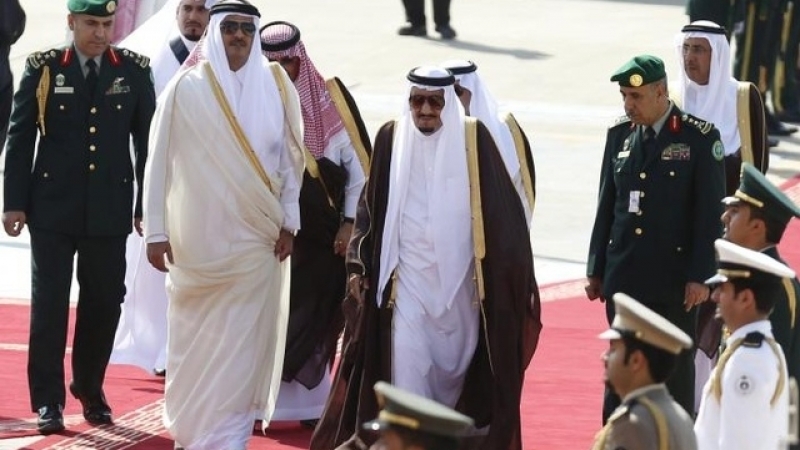 Piqued by Ankara’s insolence — they cannot do anything financially against Islamic Iran but instigate terrorism — the Saudis withdrew their investments from Turkey. This has contributed to undermining the Turkish lira that has lost 40% of its value since the beginning of 2018. Coupled with American sanctions, Turkey’s economy has been badly shaken. But here is the rub. Turkish President Recep Tayyip Erdogan has not only stood his ground, especially against American blackmailing, he received a boost when Qatar pledged to invest or deposit $15 billion in Turkish banks. The announcement immediately arrested the slide of the Turkish lira. Russia has also come to Turkey’s help. On August 15, Russian Foreign Minister Sergey Lavrov met his Turkish counterpart in Ankara and pledged full support in the face of American bullying. Lavrov said that the dollar was on the way to being replaced as the global reserve currency. As the world moves toward multi-polarity, Saudi Arabia finds itself on the wrong side of history. It has hitched its camel to the American donkey. When the American donkey goes over the cliff, it will take the camel with it. The only imponderable is whether Saudi Arabia will implode first or go over the cliff.